As a part of the Bavarian research project 5G TODAY, Rohde & Schwarz is investigating large-scale TV broadcasts in the FeMBMS mode over a HPHT 5G technology broadcast field trial in Munich. The company will highlight the advantages of this technology via live transmission to a smartphone at the Rohde & Schwarz booth, 6C40 and 6C51, hall 6 at Mobile World Congress (MWC2019), Barcelona, February 25-28. The consumption of mobile video content is rapidly increasing. But there are limitations in covering this demand and satisfying mobile consumer’s Quality of Experience (QoE) via current mobile network structures. To address this and enable new business models, 3GPP has defined major standard enhancements with FeMBMS in Release 14. Based on that, Rohde & Schwarz comes to MWC2019 with a solution for the future of media delivery. By deploying a high-power high-tower (HPHT) network topology as an overlay, the distribution of media & entertainment content will be more efficient and cost effective. But there is more – mobile consumers of premium content such as live sports events will benefit from highest video quality beyond HDTV, low latency and ensured availability of live streaming services. Posted by Chris Dickinson, technology journalist and editor of the Always On blog. January 30, 2019. At CABSAT 2019 (booth B2-32), Rohde & Schwarz will showcase the latest advances in scalable storage, satellite amplifiers and file-based media solutions. We can be a partner for your business, providing a diversity of technology solutions and rock-solid reliability, both financially and operationally, that enables you to focus on your customers’ needs. Posted by Ghallab Mohamed. February 8, 2019. A large, youthful and technically savvy demographic should make the Middle East and North Africa (MENA) a rich zone for internet OTT (Over-The-Top) streaming services – and 2019 is shaping up to be the breakthrough. Posted by Adrian Pennington. February 7, 2019. Pay TV revenues for 20 MENA countries fell by 11% between 2016 and 2018 to just under $3 billion, according to a report by Digital TV Research. Revenues in 2024 ($3.28 billion) will still be lower than in 2016 ($3.36 billion). Posted by Chris Dickinson. January 28, 2019. Sub- Saharan African OTT streaming movie and TV episode revenues will reach $1 billion by 2024, up from $223 million in 2018, according to Digital TV Research. Netflix accounted for 45% of the region’s SVOD subscribers by the end of 2018 and will retain its market dominance by taking 39% of the 2024 total. Sub-Saharan Africa is forecast to add more than 16 million pay TV subscribers between 2018 and 2024 to bring its total to 45.63 million, according to Digital TV Research’s Sub-Saharan Africa Pay TV Forecasts report. Radio UNAM (Radio de la Universidad Nacional Autónoma de México) chose a 40 kW R&S THR9 high-power FM radio transmitter from Rohde & Schwarz to broadcast in Mexico City. Rohde & Schwarz Mexico, together with technological partners for FBMS, TELETEC and ARKTURIAS, demonstrated the abilities of R&S PRISMON monitoring and multiviewer solution to The Terrestrial Station of Lurín in Peru, which manages the submarine cable that connects Peru to the world and the signals from more than 700 television channels for satellite pay TV operator, Telefónica. Posted by Chris Dickinson. January 25, 2019. The world’s first end-to-end solution for LTE/5G technology broadcasts fully compliant with 3GPP Release 14 is demonstrated at DVB World annual conference in Dublin (March 11-13, 2019) by Rohde & Schwarz in cooperation with Technische Universitaet Braunschweig. Posted by Chris Dickinson. January 23, 2019. 5G, OTT, edge computing and artificial intelligence (AI) transformative technologies will have the most impact on people’s lives in 2019, according to a new white paper from business information provider, IHS Markit. Posted by Patrizia Muehlbauer. January 22, 2019. GMIT GmbH, a subsidiary of Rohde & Schwarz since 2010, will be fully integrated into the group by the end of January 2019. With this move, the electronics specialist reinforces its commitment to digital products, including the R&S PRISMON audio/video content monitoring and multiviewer solution and the R&S RelayCaster video-over-IP distribution solution. Posted by Chris Dickinson. January 22, 2019. A key technology session at NAB 2019 in Las Vegas will explore how the introduction of LTE/5G technology broadcasts could open up a worldwide market with millions of smartphones and tablets acting as potential TV receivers able to combine linear and non-linear mobile TV services. Posted by Chris Dickinson. January 18, 2019. The R&S PRISMON monitoring and multiviewer solution sits at the heart of a new video-over-IP campus building built by technology and production center switzerland ag (tpc) for SRF, the Swiss broadcasting company serving the German-speaking region of Switzerland. The EBU has published a new specification – EBU Tech 3371 – laying out the minimum requirements needed in a video-over-IP broadcast facility to support SMPTE ST 2110 standard production equipment. Posted by Chris Dickinson. January 17, 2019. What will happen to the media cloud services market in 2019? There’s a perfect storm brewing. 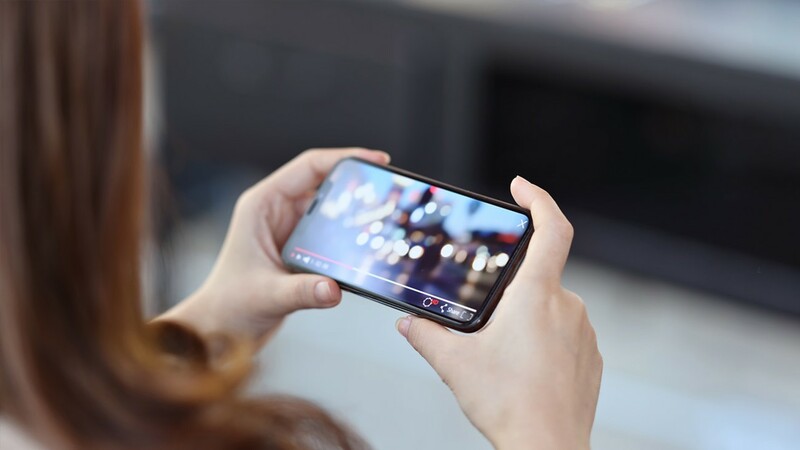 Numerous forecasts point toward the rapid growth of video, driven by demand for video over mobile often in tandem with breathless predictions for the rollout of 5G, the next generation wireless broadband. The choice for media companies is to build the physical infrastructure to cope, or go to the cloud. Posted by Adrian Pennington. December 13, 2018. What will happen to the 4K UHD TV market in 2019? The market for 4K UHD TV sales is growing strongly, led by the increase in premium 4K UHD content, and is predicted by specialist research and consulting firm Futuresource Consulting to top 100 million units worldwide in 2018 and to continue expanding rapidly in 2019 and beyond. Posted by Chris Dickinson. December 11, 2018. Following a successful technology showcase and system launch at IBC 2018, Rohde & Schwarz has announced the commercial availability of its R&S SpycerNode media storage system, offering a new and radically different approach to the broadest range of broadcast and media storage requirements. Posted by Chris Dickinson. December 10, 2018. What will happen to the SVOD market in 2019? Subscription Video On Demand (SVOD) is growing strongly across the world according to two leading research companies who have looked at the market. Digital TV Research said SVOD revenues across 138 countries will reach $35.04 billion in 2018. That’s $10 billion more than the 2017 total and more than triple the 2015 total. Further rapid expansion is predicted in 2019, according to Ampere Analysis. Posted by Chris Dickinson. December 6, 2018. 5G broadcasts in the 5G TODAY research project moved forward in December 2018 with a Rohde & Schwarz transmitter starting operations at Bayerischer Rundfunk’s (BR) Wendelstein transmitter station and partner Kathrein completing an innovative antenna for test operation at BR’s transmitter site in Ismaning near Munich. Posted by Chris Dickinson. November 27, 2018. At the beginning of December 2018, the world’s first regular broadcasts in 8K begin, the climax of a 23-year development programme for Japanese broadcaster NHK. The question is whether it is truly the start of something that will eventually sweep the industry or will remain niche. Posted by Adrian Pennington. November 13, 2018. Moving IP media effectively over unmanaged networks was a key focus at SMPTE2018 in Los Angeles, October 22-25, 2018. A major stream in the conference programme was dedicated to the subject, including a presentation on Thursday by Martin Holmes, Senior Business Development Manager at Rohde & Schwarz (booth 322). Posted by Chris Dickinson. November 4, 2018. Posted by Chris Dickinson. October 16, 2018. IBC2018 might not go down as a classic in terms of ground-breaking point product release but it marked a definitive shift away from legacy broadcasting and engineering to new models based on software as a service. Posted by Adrian Pennington. October 3, 2018. Within the framework of the 5G TODAY research project and in cooperation with the Institute for Communications Technology of the Braunschweig Technical University, Rohde & Schwarz has successfully commissioned the world’s first dynamic single-frequency network (SFN) with FeMBMS signals in the lab. Posted by Chris Dickinson. September 13, 2018. Rohde & Schwarz showcased a brand new storage solution at IBC 2018. R&S SpycerNode combines enterprise-class hardware with state-of-the-art software technologies. It is the first storage product on the M&E market to feature high performance computing (HPC). The R&S TMU9evo UHF transmitter from Rohde & Schwarz represents the next level of development for the company’s successful family of medium-power transmitters. The new transmitter comes with further improvements in both energy efficiency and reliability, allowing network operators to achieve even greater operating cost savings. The R&S PKU100 Ku-band satellite uplink amplifier combines the best of two worlds in a single device: the unbeatable strengths of solid-state amplifiers and the compactness and low weight of tube amplifiers. Now Rohde & Schwarz is adding outdoor models to its Ku-band family of amplifiers. Introducing the R&S TMU9evo medium-powered UHF transmitter range. Watch the video. Posted by Chris Dickinson. September 12, 2018. Rohde & Schwarz is adding outdoor models to its R&S PKU100 Ku-band family of amplifiers. The extremely robust and weatherproof models are perfectly suited for outdoor applications, such as ground stations and satellite news gathering (SNG) vehicles, and feature all the advantages of the indoor model. Visit Rohde & Schwarz at IBC2018 in Amsterdam, hall 7, booth B21. Posted by Chris Dickinson. August 31, 2018. In today’s multi-platform OTT-centric world the question of how to support live content contribution and primary distribution has become a massive issue. The solution according to companies such as Akamai Technologies and Amazon CloudFront is a commercial Content Distribution Network (CDN). However, the new multi-platform distribution business model has created significant growth in operating costs. Posted by Adrian Pennington. August 30, 2018. Themed around ‘the search for growth’ IBC will showcase AI-assisted workflows, the status of IP infrastructure and the future of content. Posted by Adrian Pennington. August 28, 2018. Posted by Chris Dickinson. August 23, 2018. Whether in a studio or a live outside broadcast, IP-based content transport systems simplify content acquisition and, in distribution, extend the reach of content providers at reduced cost per viewer. Download the eBook to learn more. Rohde & Schwarz provided the entire infrastructure for the DVB-T2 trials in Australia. 99 percent of Australians depend on terrestrial broadcast services. The DVB-T2 standard can deliver up to 4K TV. A group of commercial and public broadcasters and partners will demonstrate UHD at IFA 2018 in Berlin (August 31 to September 5, 2018) at booth 203, hall 26. A series of clips in SDR and HDR/HLG format will be looped on a 77" UHD TV. Posted by Chris Dickinson. August 20, 2018. The European Broadcasting Union (EBU) led trials with several EBU members and industry partners to shoot, process, record, and distribute live Ultra High Definition (UHD) content, with High Frame Rates (HFR), High Dynamic Range (HDR), and Next Generation Audio (NGA), at the 2018 European Athletics Championships in Berlin. Posted by Chris Dickinson. August 8, 2018. The BBC’s live streaming of the FIFA World Cup in UHD and HDR is a case of believe the hype. The BBC has cracked open the possibilities of end to end live streamed ultra-resolution high dynamic range content and signalled the future in a landmark public trial. Posted by Adrian Pennington. July 11, 2018. Leading satellite operator SES successfully broadcast an 8K television signal – four times bigger than 4K – for the first time in May 2018. The demo broadcast was supported by the new R&S PKU amplifier from Rohde & Schwarz. Posted by Chris Dickinson. July 5, 2018. Award-winning Russian satellite TV and radio broadcaster migrated all its studio production and playout operations to R&S Venice servers in a single day. Rohde & Schwarz has produced a white paper that explains how R&S ALASS technology, working with the R&S PRISMON monitoring solution, simultaneously monitors the same content as it is distributed to a broad range of devices, ensuring a common standard is maintained across a broad range of pathways. Posted by Chris Dickinson. June 20, 2018. Ravensbourne University London used an R&S TLU9-1HU GapFiller transmitter and HK033 omnidirectional transmitter antenna to transmit its media and design degree show across south London using a special DVB-T2 licence. HDR: Bright prospects ahead, but where are we now? What are the latest developments in HDR technology and deployments? Join a LIVE WEBINAR on Wednesday, 13 June at 3PM (BST) hosted by TVBEurope and sponsored by Rohde & Schwarz. Register your interest to hear from a panel of experts including Andy Quested, BBC Design + Engineering, Paul Clennell, dock10, and David Smith, Rohde & Schwarz. Posted by Chris Dickinson. June 7, 2018. System integrator EuroMedia-Service has integrated the RelayCaster live content IP contribution solution from Rohde & Schwarz subsidiary GMIT into the Skyline DataMiner network management platform. Posted by Chris Dickinson. June 6, 2018. At ANGA COM in Cologne, June 12-14, 2018, Rohde & Schwarz (booth 8/R50) presents the R&S DSA DOCSIS signal analyzer to enable realtime analysis of signals transmitted in line with the high-speed DOCSIS 3.0 and DOCSIS 3.1 standards. Posted by Dürport Werner. May 28, 2018. The bald facts about the broadcasting equipment market in the Asia-Pacific disguise both the immaturity and the world-leading dynamism with which different countries in the region are facing the future. Posted by Adrian Pennington. May 25, 2018. What role do servers play in today’s broadcast operations? Without any doubt, the future of the broadcast industry will be increasingly influenced by the Cloud-based technologies, but today is there still a place for on-premise video servers? And if so, what will these servers look like and how will they operate? Will everything be remote production over IP networks? Posted by Tim Felstead. May 17, 2018. Singapore broadcast and media show spotlights key market drivers fuelling growth across the APAC region, with Rohde & Schwarz (booth 4T2-04) leading the way. Posted by Chris Dickinson. May 14, 2018. The new R&S TLU9 GapFiller from Rohde & Schwarz is the recipient of the Best of Show Award, presented at the 2018 NAB Show by TV Technology. Posted by Chris Dickinson. May 3, 2018. Swisscom, a major Swiss telecommunications company, will use Rohde & Schwarz encoding technology as part of its ambitious UHD playout over IPTV at the Russia 2018 world soccer tournament. Posted by Chris Dickinson. May 1, 2018. Rohde & Schwarz has significantly expanded and optimized its new R&S VENICE platform for live production, studio production and channel playout applications. R&S VENICE offers absolute stability and an enormous range of features. Its flexibility makes it a future-proof investment. Posted by Chris Dickinson. April 16, 2018. NAB President and CEO Gordon Smith opened the 2018 NAB Show in Las Vegas with his annual State of the Broadcast Industry Address, and a broad range of industry professionals led sessions focusing on the latest advances in filmmaking, television production and content creation. Posted by Chris Dickinson. April 11, 2018. Vendors and broadcasters who plan to switch to IP can check the interoperability of products under realistic conditions in accordance with SMPTE ST 2110 and the AMWA NMOS specification at the IP Showcase at NAB 2018. Posted by Chris Dickinson. April 7, 2018. Rohde & Schwarz has produced a simple to read infographic to introduce the R&S TLU9 GapFiller and explain how it can help you extend the coverage of your main transmitters (high-power and medium-power stations) in specific topologies that cause shadowing effects, such as steep valleys, without the need for an additional fully equipped transmitter site. Posted by Chris Dickinson. April 3, 2018. Six out of seven national broadcasters, such as WPXN (ION Media), WNET (PBS), and WWOR (FOX), have chosen to deploy the R&S THU9evo for their primary broadcasts from One World Trade Center in New York City. Feel free to download our whitepaper “One World Trade Center: Broadcasting is back with Rohde & Schwarz"
NAB 2018 is the first chance for visitors to test the performance of AV1, an emerging encoding technology pitting itself against prevailing standard HEVC. Posted by Adrian Pennington. March 28, 2018. The Arab Radio and TV Festival in Tunisia, April 26-29, 2018, features a demonstration of the latest UHD/4K HDR end to end production solution from Rohde & Schwarz. The Festival is organised by the Arab States Broadcasting Union (ASBU) in cooperation with Tunisian Radio and TV and in partnership with the Arab Satellite Communications Organisation, Arabsat. Posted by Chris Dickinson. March 28, 2018. The rate of technological change in the industry is unprecedented which is both a cause for alarm as well as excitement, both moods likely to be encapsulated at NAB this month. Posted by Adrian Pennington. March 20, 2018. What is the future for amplifiers for SAT uplinks? Many of the current high-power KU-band amplifiers are tube-based, and high-power amplifiers with transistors are just now becoming available. Rohde & Schwarz has produced a comprehensive white paper explaining the technical parameters of SAT uplink amplifiers, the pros and cons of both tube and solid-state amplifiers and an explanation of its new visionary approach to the technologies. Posted by Chris Dickinson. March 6, 2018. At NAB 2018, Rohde & Schwarz (booth SL6610) will showcase new products and system solutions spanning many different application areas in the broadcast and electronic media processing market. The transition from SDI to IP was a key technology trend discussed at the BVE Show in London this week. A new IP outside broadcast truck from Timeline Television was shown. At the same time, a new R&S TLU9 GapFiller transmitter solution was announced during the show by Rohde & Schwarz. Posted by Chris Dickinson. March 2, 2018. A 5G test site for broadcasting is being set up in the Bavarian Oberland region of Germany as part of the Bavarian research project ‘5G Today’. Under the leadership of the Institute for Broadcast Technology (IRT), project partners Kathrein and Rohde & Schwarz are investigating large-scale TV broadcasts in the Further evolved Multimedia Broadcast Multicast Service (FeMBMS) mode over 5G networks. Posted by Chris Dickinson. February 27, 2018. 5G is fast approaching and will have a profound impact on almost every industry around the world. That’s the positive message which mobile operator’s body GSMA hope reverberates around the halls of Mobile World Congress in Barcelona, February 26 – March 1, 2018. Posted by Adrian Pennington. February 15, 2018. Technology group Rohde & Schwarz has a new booth position at the 2018 NAB Show in Las Vegas. The Rohde & Schwarz booth SL6610 is located in the South Hall (Lower) and features the best and latest products and solutions for the broadcast and media industries. Posted by Chris Dickinson. February 12, 2018. If you believe everything you read in the press then digital terrestrial television transmission is a dying technology. The march of IP-based distribution is unstoppable and within a relatively short period of time TV and radio transmitters will be a thing of the past. But just hang on - let’s look behind the headlines at some of the facts about terrestrial transmission networks. Posted by Jürgen Nies. February 7, 2018. Six out of seven national broadcasters have chosen Rohde & Schwarz R&S THU9evo digital transmitters for their primary television broadcasts from One World Trade Center in New York City. Posted by Chris Dickinson. February 5, 2018. Before NAB in April there will be a new file format available for facilities, broadcasters and online publishers. Based on the existing Interoperable Master Format (IMF), the new specification will be adapted for online delivery rather than the Hollywood Studios cinema and archive focus of the original. Posted by Adrian Pennington. January 30, 2018. Pinoeering German broadcaster RTL II created a fully IP-based playout facility for its new OTT channel, including a monitoring and multiviewer solution supplied by Rohde & Schwarz. Posted by Chris Dickinson. January 29, 2018. Around 13,000 visitors attended the first day of CABSAT 2018 in Dubai, opened by Sheikh Hasher Bin Maktoum Al Maktoum, Director General of Dubai's Department of Information. Posted by Chris Dickinson. January 14, 2018. Digital TV receiving equipment and terrestrial tuner chipset manufacturers can test the performance of their products for compliance with the ATSC 3.0 standard using only a single unit. Posted by Chris Dickinson. 29th December 2017. What are the key trends in 2018 for OTT, IP, HDR and cyber security? IBC365 and Rohde & Schwarz have come together to create an exclusive report that looks at the key trends of 2018: “One eye on 2018: OTT, IP, HDR & cyber security “. From 4K video over the internet to the beginning of the end of SDI broadcast, the report examines the impact of game-changing technologies in the broadcast industry. Posted by Chris Dickinson. 15th December 2017. Broadcasters can confidently pursue their transitions to IP with minimal disruption by following certain basic guidelines. That’s the view of the Alliance for IP Media Solutions (AIMS), an industry-wide coalition of vendors that has helped devise and support an interoperability framework. Posted by Adrian Pennington. 12th December 2017. Rohde & Schwarz is at the forefront of the transition from SDI to IP-based production, with its implementation of the first parts of the SMPTE ST 2110 suite of standards. Posted by Chris Dickinson. 12th December 2017. With a young and fast-growing population, a growing middle class, a solid medium-term economic outlook – despite the turbulence caused by falling oil prices in the Gulf States – the media market in the Middle East and North Africa is a positive one. Posted by Adrian Pennington. 11th December 2017. 4K UHD devices and content is growing strongly, representing 35% of global TV sales in 2017, but there is limited delivery of content to consumers. High Dynamic Range (HDR) messages are also confusing and making it harder for consumers to appreciate the benefits, according to research from Futuresource Consulting. Posted by Chris Dickinson. 29th November 2017. Pay TV subscribers in the US has dropped by 2.4 million in a year and is predicted to fall dramatically over the next five years according to the latest research by Ampere Analysis. This fall contrasts with increases in pay TV globally. US pay TV is being hit by the rise of SVoD (Subscription Video on Demand) services, such as Netflix. Posted by Chris Dickinson. 27th November 2017. New Rohde & Schwarz virtual Storage access (VSA) technology prevents any interruption of running media transfers, file encoding and file decoding processes during playout or ingest. Posted by Michael Hackl and Dirk Thometzek. 24th November 2017. Posted by Chris Dickinson. 16th November 2017. SiTune Corporation has successfully tested its tuners for 8K Ultra High Definition satellite TV in line with the ISDB-S3 standard being rolled out by Japan’s public broadcaster NHK in 2018, in preparation for the Olympics Games 2020 in Tokyo. Posted by Chris Dickinson. 15th November 2017. Standards convertors need to be able to handle different forms of 4K and Ultra HD (UHD), High Dynamic Range (HDR) and High Frame Rate (HFR) pictures as these technologies proliferate, David Smith, technology manager at Rohde & Schwarz, told Asia Pacific Broadcasting. Posted by Chris Dickinson. 14th November 2017. Successful Dolby certification of the R&S PRISMON audio/video monitoring and multiviewer solution from Rohde & Schwarz. Dolby is a leading manufacturer of audio codecs. Posted by Chris Dickinson. 6th November 2017. Internet-only contribution network for Dutch local broadcasters built with RelayCaster. The service is available at regionaalmediacenter.nl and it allows regional broadcasters to bring their live signal to a central data centre. Posted by Chris Dickinson. 30th October 2017. The PBS member station serving Miami-Ft. Lauderdale contracted Rohde & Schwarz to provide a turnkey solution for its FCC repack transition. 5G trials hot up – but what does it mean for DTT infrastructure? While the business benefits and standards are still being thrashed out, the 5G mobile network is currently receiving its first public trial in Europe. Posted by Adrian Pennington. 23rd October 2017. Broadcasters Seoul Broadcasting System (SBS), Korean Broadcasting System (KBS) and Munhwa Broadcasting Corporation (MBC) have launched the world's first terrestrial ATSC 3.0 broadcast network in South Korea for free UHDTV broadcasts. Posted by Chris Dickinson. 16th October 2017. With the push of a button, Telemundo 47 / WNJU became the first Tri-State television station to officially resume over-the-air transmissions from One World Trade Center in New York. Posted by Chris Dickinson. 9th October 2017. Live interworking between different vendors based on the SMPTE ST 2110 standard was the focus of the IP Showcase at IBC 2017 where Rohde & Schwarz participated with its IP-based R&S PRISMON monitoring and multiviewer solution for broadcast and streaming media. Posted by Chris Dickinson. 6th October 2017. What are the main competing HDR standards for broadcast? High dynamic range (HDR) can massively improve image quality, but there are different standards being developed for broadcast applications. The latest Rohde & Schwarz report sheds light on the two main standards and gives you guidance on the merits of both. Posted by David Smith. 30th September 2017. Rohde & Schwarz tested the Genova Origin packaging solution from Keepixo for compatibility with its R&S Prismon monitoring and multiviewer solution. Posted by Chris Dickinson. 26th September 2017. Rohde & Schwarz tested Unified Origin from Unified Streaming for compatibility with its R&S Prismon monitoring and multiviewer solution. At IBC 2017 in Amsterdam Rohde & Schwarz introduced a range of new generation ingest, live production and channel playout solutions that bridge hybrid SDI and IP operations. Posted by Chris Dickinson. 16th September 2017. This year sees IBC celebrate its 50th anniversary. Rohde & Schwarz – one of a very few companies that has exhibited at every event – is joining IBC in celebrating its unrivalled success, as our infographics shows. Posted by Chris Dickinson, technology journalist and editor of the Always On blog. 13th September 2017. The future is IP-based but how do we get there? Recent years have seen the rise in importance of IP-based production strategies and this IBC will be no different. Posted by Stephan Krafft. 7th September 2017. What are the key industry themes at IBC 2017? Buzzwords to look out for at IBC 2017 in Amsterdam include HDR, UHD, IP in live production, virtualisation and the wider shift towards IT environments, alongside AI (Artificial Intelligence) and Virtual Reality. Posted by Adrian Pennington. 1st September 2017. Real-time IP will be one of the big themes in Amsterdam, as the show organisers plan a dedicated IP showcase featuring kit from over 40 vendors. Posted by Chris Dickinson. 1st September 2017. ZDF switched off DVB-T and upgraded to DVB-T2 without a hitch after one of the biggest equipment upgrades in the history of broadcasting. Oman’s national broadcaster has begun upgrading its entire transmitter network to DVB-T2 digital terrestrial television using a turnkey system supplied by Rohde & Schwarz. Middle East & North Africa OTT TV episodes and movies will generate revenues of $1.75 billion by 2022; more than quadruple the $428 million recorded in 2016, according to Digital TV Research. Award-winning Florida radio station, WYCT-FM, has expanded its reach with the first Rohde & Schwarz HDradio transmitter in the US. The EBU released a new technical review paper that claims that mobile broadband is not a realistic option for radio distribution compared to DAB.